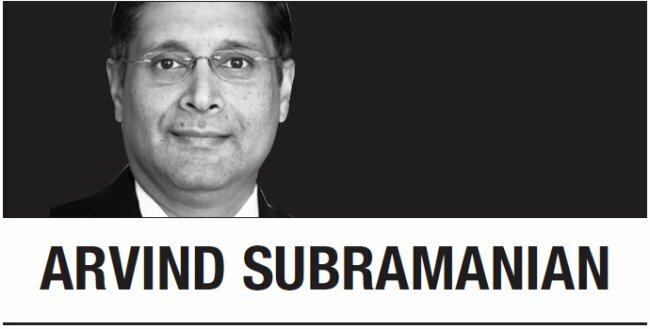 [Arvind Subramanian, Josh Felman] R.I.P. Chinese exceptionalism? From Argentina to Turkey and from South Africa to Indonesia, emerging markets are once again being roiled by financial turbulence. But let us not lose sight of the biggest and potentially most problematic of them all: China. Over the past few decades, China’s growth has appeared to violate certain fundamental laws of economics. For example, Stein’s Law holds that if something cannot go on forever, it will stop. Yet China’s debt keeps on rising. Indeed, according to the International Monetary Fund, Chinese corporate, government, and household debt has increased by about $23 trillion in the last decade alone, and its debt-to-GDP ratio has risen by around 100 percentage points, to more than 250 percent. That is orders of magnitude above the level at which financial crises normally occur. To be sure, some of China’s debt has been used to expand its industrial base and infrastructure. But much of it has also gone toward sustaining money-losing public enterprises and endless investments in superfluous public facilities and housing. China’s domestic imbalances point to another economic law that it has managed to break. For any normal country, the build-up of extensive surplus capacity would lead to sharp declines in investment and GDP growth. And that, in turn, would produce financial distress, followed by a crisis if the warning signs were ignored. But China has had a different experience. Its GDP growth has slowed, but investment remains robust, and there is no strain on its banking system. A common explanation for China’s apparent invulnerability is that it has large pools of domestic savings and enormous foreign-exchange reserves (over $3 trillion), which can be spent down to head off financial panics. And because the government’s balance sheet is still strong enough to bail out unviable financial firms, it can address any emerging sources of stress in that crucial sector. Another common explanation for China’s resilience is political. Highly centralized decision-making allows for swift, concerted action, such as official clampdowns on foreign-exchange outflows. And in such a uniquely controlled -- and controllable -- society, the normal social stresses that arise from economic disruptions are eminently manageable. Plausible as these arguments are, it is time to revisit them. China’s economic exceptionalism is now being threatened by a perfect storm of existing stresses namely, -- the domestic debt build-up -- and new complications, including US trade barriers, the geopolitical pushback against China’s Belt and Road Initiative, and tightening monetary conditions, particularly in the United States. After the 2008 financial crisis, China shifted its economic model away from exports and toward internal sources of growth. But such a rebalancing requires ever more debt and investment, thus creating greater risks of collapse. As a result, the government has had to tread carefully, providing only moderate dollops of stimulus to the economy as needed. There is no how-to manual for managing this balancing act. Policy interventions that seem moderate in the moment could turn out to have been excessive. At some point, Stein’s Law will assert itself. First among the emerging threats to Chinese growth is US trade policy. So far, only about $50 billion worth of Chinese exports have been affected by the Trump administration’s tariffs. But in July, Trump announced a new round of tariffs targeting an additional $200 billion worth of Chinese goods, representing about 15 percent of total exports to the US. Reflecting its growing vulnerability, China’s reactions to Trump’s continued threats have been notably accommodative. A second threat to external demand comes from the exhaustion of China’s mercantilist policies. In the 1990s and 2000s, China developed an exceptionally large export industry in part by allowing its currency to become undervalued. More recently, however, it has perpetuated this approach through other means, namely the BRI, with which it finances other countries’ purchases of Chinese goods and services. Call this Chinese Mercantilism 2.0. The problem is that Mercantilism 2.0 is now under attack, both politically and economically. Politically, recipients of Chinese loans -- from Sri Lanka to Malaysia to Myanmar -- have been expressing objections to the BRI and its odor of neo-imperialism. Economically, the onerous terms of BRI financing have resulted in alarming debt build-ups in at least eight countries, according to the Center for Global Development. Malaysia, for example, has already had to cancel $22 billion worth of Chinese-backed projects. Sri Lanka has had to turn to the IMF for help, owing to the impact of excessive Chinese imports on its external accounts. And Pakistan may soon be forced to do the same. As more countries become wary of the BRI, they will borrow and import less from China. Meanwhile, the steady rise in US interest rates is creating a third shock. As US rates exceed Chinese rates, capital will flow out of China, as it has from other emerging markets this year. China’s leaders will thus be faced with the classic emerging-market dilemma. If they allow the renminbi to weaken, they could aggravate capital flight in the short term and invite accusations of currency manipulation from the US. But if they want to prop up the currency, they may have to spend down another trillion dollars in reserves, as happened in 2015. Alternatively, the government could re-impose draconian capital controls. But that would stifle external demand, undermine economic management more broadly, and discredit the country’s claim to global economic leadership (including internationalization of the renminbi). Sooner or later, Chinese exceptionalism will give way to the laws of economics. The world should prepare itself. The consequences could be severe -- and unlike anything experienced in recent history. Arvind Subramanian, a former chief economic adviser to the government of India, is a visiting lecturer at Harvard’s Kennedy School of Government. 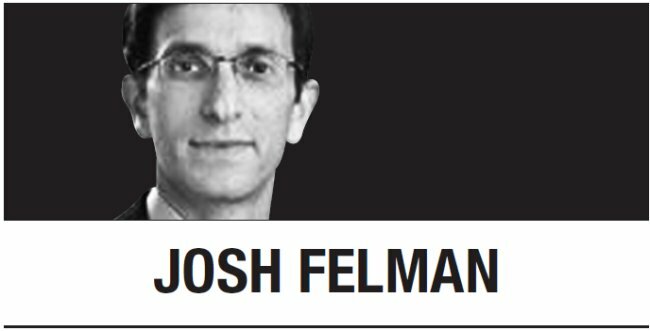 He is the author of “Eclipse: Living in the Shadow of China’s Economic Dominance.” Josh Felman is Director of JH Consulting. -- Ed.